Our water-resistant Henley shutters are the finishing touch on a bathroom. The clever material is superbly hardwearing and can withstand even the most humid of conditions, so you can be sure it’s built to last. And because we know it’s the little things that make a big difference, even the hinges are made from no-rust stainless steel. Nowhere is privacy more important than the bathroom. 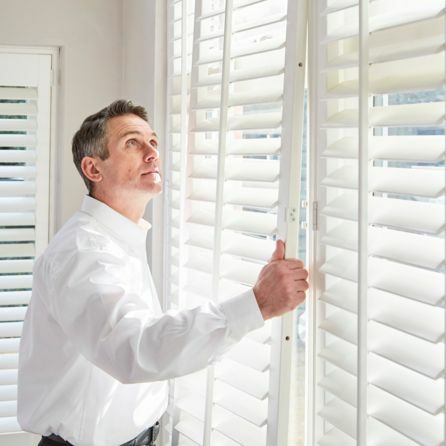 Narrower louvres allow more privacy even when your shutters are open. Tilt your louvres easily to keep prying eyes out, even in overlooked spaces. Your advisor will take you through all the options during your in-home appointment. It’s easy to achieve brilliant light and privacy control and a gorgeous effect at your window with our in-home service. 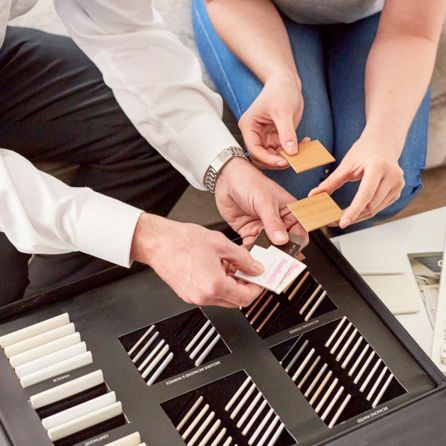 Your local advisor will take care of all the measuring and fitting, and it’s all included in the price. So you can be sure of a perfect finish.